Published By – Buckaroo Publishing Co., Inc. Published by Sherlyn Pub. Co., Inc. (BMI)/Lendseyanne Music (BMI)/Buckaroo Pub. Co., Inc. (BMI). ℗ 1979, T.K. Productions, Inc. 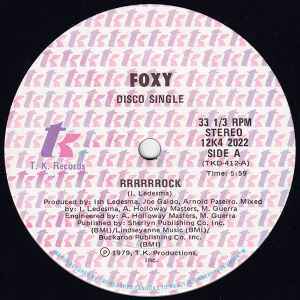 In "disco single" company sleeve.